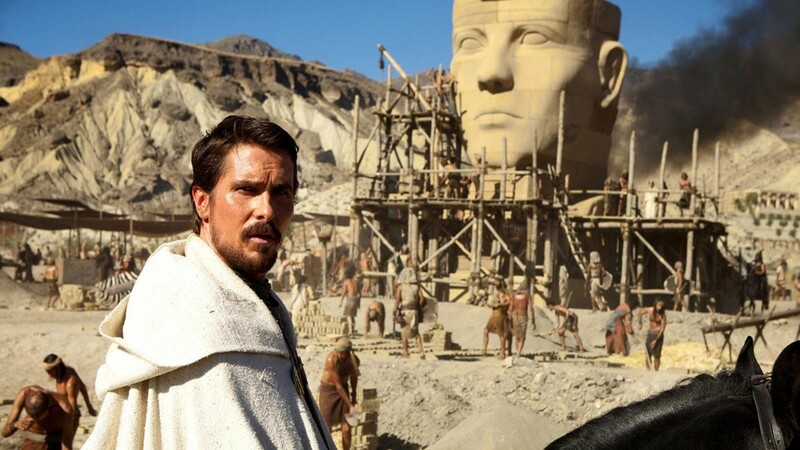 Film Review: ‘Exodus: Gods and Kings’!! 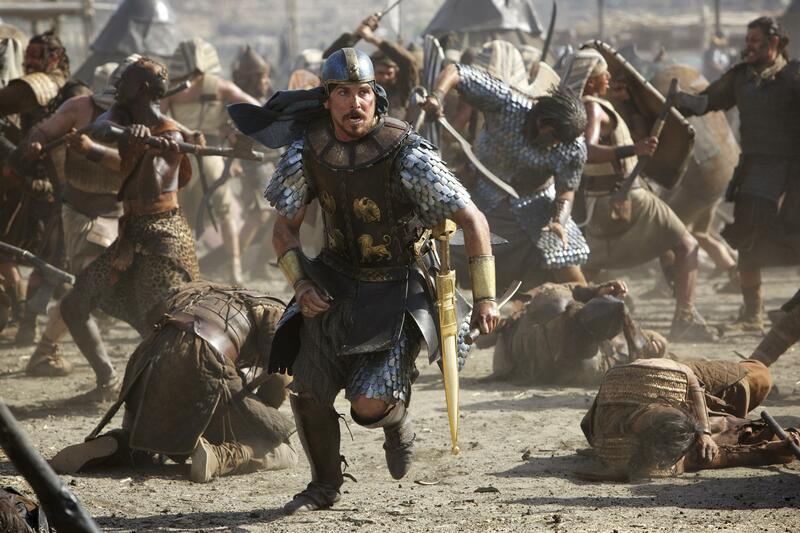 Exodus: Gods and Kings opened with a brief accounting of the enslavement of the Israelites. The panoramic shots of the in progress building of Egypt’s statues, pyramids, etc. looked awesome. I hadn’t enjoyed such detail and expanse since The Lord of the Rings trilogy. It is rare for a film to be so visually stimulating and then be shattered because of the story. It is not good enough to make an aesthetically skilled film. The story being told should be carefully selected and translated, especially with non-fiction. It is bad enough when millions of fiction fans are upset because their story is incorrectly presented. The Holy Bible’s chapters of Exodus related to the story of Moses are sacred. God did such amazing works to save the Israelite people from centuries of oppression, torture and death. To be such a vision of cinematic genius, Exodus: Gods and Kings chose to focus on the power of man instead of the power of God. As the 10 plagues ravaged Egypt, the film saw fit to try to explain away the miraculous with human logic. I guess it was too hard to believe in miracles. To further exasperate this perspective, they follow-up practically each plague with a counsel meeting to justify what was happening. They use the domino effect to justify the plagues. No mention of God working through Aaron’s staff either, at least DeMille got that right. I love to watch Christian Bale act. He mumbles through his lines at times, but I usually like his performances. However, in this film, it was painful to watch such a blatant misrepresentation of Moses. This is not Bale’s fault. He just has an ability to play a prideful elitist (case in point, American Psycho, Equilibrium (one of my favorite movies of all time), and even A Midsummer Night’s Dream). Moses was human, so yes, I’m sure he had moments of pride (like when he struck the rock to get water for the people), but he relied on God. Moses I had only seen Joel Edgerton twice before (Animal Kingdom and The Great Gatsby), but if he was aiming for a cowardly and fearful Pharaoh then he nailed it. Speaking of God, most people know that God spoke to Moses through the burning bush. Apparently, that wasn’t good enough for the screenwriters. ***Spoiler Alert*** The writers chose a little boy to be God and proclaim, “I AM.” God needs a general? Not even close. What the heck were they thinking? I have respected Ridley Scott as a brilliant director. He has the ability pull the viewer into the film with the vastness and depth of the world he creates. 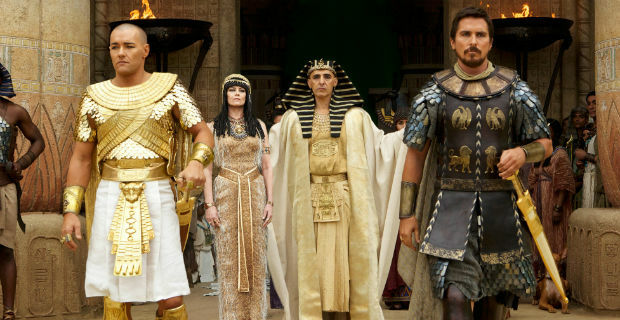 Clearly his goal was to try to disprove God in this telling of Exodus: Gods and Kings was in 3D, but it merely showed depth in the scenes and not the cool special effects lunging out at the audience that most people enjoy. I would have preferred to not have to wear the glasses. FYI, periodically I took the glasses off and the film was normal. Not that there were not wonderful special effects, from the multitudes of frogs to when the massive wave of the Red Sea crashing in on Pharaoh and his army. I’m not going to mention whom else was overwhelmed by the waters, but it was ridiculous. The lack of adherence to the Word makes rating this film difficult. The Ten Commandments was not 100% biblical either, but it did not squash the omnipotence and omniscience of God. If I were to base my rating solely on the technical skill and grandness of Exodus: Gods and Kings, I’d give it a 5 out of 5 without a doubt. However, I must take into account the story and plot, so a perfect score is not possible for such a disrespectful reconstruction of this iconic piece of history. If anyone would like to discuss this further leave a reply below, I have plenty to say. This entry was posted on Friday, December 12th, 2014 at 10:46 am	and is filed under Film, News. You can follow any responses to this entry through the RSS 2.0 feed. You can skip to the end and leave a response. Pinging is currently not allowed. I appreciate your sharing the fact that this work of art is just that…nothing more than a lot of beautiful (and talented) people in the midst of amazing backdrops and technologic feats. I hope Hollywood can get it right the next time and do justice to the “story” they are telling. Obviously, their book must have been missing pages to have strayed that far from the facts. I’ll wait to catch this one when it hits the cable channels. Thank you! « Check Out The Trailer For Pixar’s ‘Inside Out’!! !